Gen Z. The original “digital natives.” A generation that has never known life without unlimited digital access. With a perpetual fixation on Millennials, many marketers are overlooking this generation that is unlike any other generation that has come before. They do so at their own peril, as this generation is already showing its tremendous ability to impact consumer marketing. According to Bloomberg, the Gen Z generation will surpass their predecessors in 2019 and will comprise 32 percent of the global population. 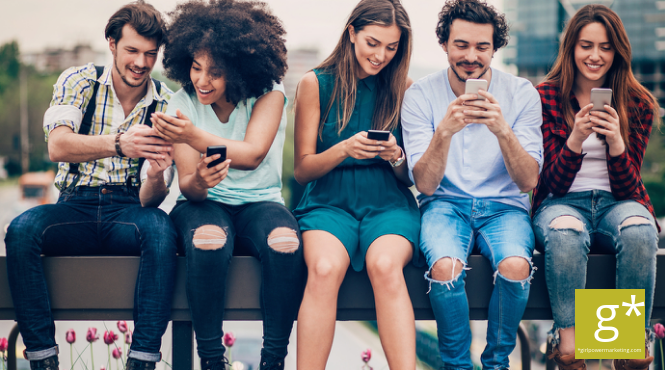 Like the Millennials before them, Gen Z has a unique set of characteristics and behaviors that marketers need to understand. To reach this group, marketers have to be willing to go where they live online. And they don’t live where everyone else does. The same marketing tactics used to reach Millennials and older generations don’t affect this group. They’re more technologically savvy—and savvy in other ways, too. They want to do good, to make a difference, and to leave their mark. And they want brands to be completely transparent and authentic. Just kids during the Great Recession, Gen Z saw first-hand what their parents struggled to achieve, and what many lost. As a result, these young consumers are less idealistic. They’re not like Millennials when it comes to making money and spending money. This generation is focused on job security and saving for the future. A meaningful job is a bonus, but they’re really after health insurance and a competitive salary. This focus on purposeful spending and earning, coupled with incredible advances in technology, have changed how marketers must act and react to reach them. No more intrusive ads, no more talking atthem, and above all, no more making them wait. This generation has $143 billion in spending power, and they know what they want from the brands they engage with. Even with the entire world of products at their digital fingertips, Gen Z actually enjoy the retail experience and relish the chance to get into those physical stores that serve up unexpected, one-of-a-kind experiences they can enjoy with their friends. Brands knocking experiential marketing out of the park right now include Lululemon, which offers in-store yoga classes; Burrow, which lets shoppers get cozy on the showroom furniture while watching Netflix; and Ulta, which provides a brow bar and in-store salon. Having the world at their fingertips through electronic devices has made Gen Z a bit impatient. They expect to get what they want when they want it, and that includes the answers to their questions and good – no, make that great – customer service. Many consumer brands have turned to chatbots to shorten the time between this generation’s “wants” and “haves.” Social platforms are making this easier with chatbots that can provide personalized messaging and immediate responses to their questions. These chatbots can streamline experiences that not only save time but provide entertainment along the way, by telling jokes, provide sports scores, relay song lyrics and sharing ghost stories. So, what does it take for a brand to really interact with Gen Z consumers? Authenticity. Responsiveness. This group loves when brands not only acknowledge them but truly engage them. In fact, 76 percent view responsiveness as a metric of a brand’s authenticity. Take that responsiveness one step further with the opportunity for them to collaborate with a brand, and that brand may likely have made a fan for life. Collaboration can take many forms, from a one-time contest event to a full-fledged partnership. Whatever the format, 44 percent of Generation Z say they’d submit product designs and ideas if asked for them by a brand. Betabrand takes collaboration to the extreme, with all products on the site stemming from customer-submitted designs. Under Armor runs middle of the road, with their Idea House, an open submission portal for ideas from customers at all times. Lay’s made perfect use of the contest model when they introduced their “Do Us a Flavor” campaign. Budweiser used a less customer-involved model with their Project 12, asking consumers to sample twelve new beers and vote on the one they liked best. Influencer marketing is still growing like crazy, in spite of a few highly publicized gaffes—most recently Sephora’s spokesperson Olivia Jade, who, along with her mother Lori Loughlin, was caught up in the college admissions scandal. Even with some massive mishaps like this along the way, fully 86 percent of Gen Z reads reviews before making a first-time purchase, and look to their peers for information about the brands and products that interest them. Influencers aren’t the only way to help nudge word-of-mouth marketing. Gen Z scopes out reviews and asks for recommendations on their social media platforms as well. Cross-screen marketing is critical for Gen Z because they always have phones, tablets, laptops, game consoles, and televisions around. They live-tweet during huge events, like the Super Bowl, or the latest reality show contest. They consume bonus content on websites while watching their favorite shows, like The Walking Deadwebisodes, trivia, and more. They Google products on their favorite shows or commercials. The best strategy for being where they are at all times is to have a healthy cross-screen marketing strategy. A mobile-friendly website, fleshed out social media profiles, apps, emails, and even push marketing tactics all combine to give brands the ability to engage this generation. It’s important to Gen Z that the brands they engage with be socially conscious and align with their own core values. That’s why TOMS Shoes is still going strong, and why Warby Parker is among this group’s most beloved brands. The one-for-one model is an excellent way for them to treat themselves, and still know they’re making a difference in the world. One-for-one purchase models aren’t the only way to prove a brand’s social worth, however. Brands can pledge a certain percentage of profits to protect the environment, like Patagonia. Or engage in short-term charity events, like Disney’s #ShareYourEars campaign that raised $2 million for the Make a Wish Foundation. Brands that find a way to make a difference in a truly authentic way and support causes that reflect this generation’s unique preferences and values will earn their attention. Gen Z shoppers are indeed changing everything. Brands must keep up, or be left behind.